Standing sentinel high above Rotorua, Mt Tarawera is revered by local Maori and offers a unique adventure for those who come and explore it on a guided tour with Kaitiaki Adventures. The Iwi of Rangitihi are the Kaitiaki of Te Maunga o Tarawera and hold the mana whenua of the Maunga (mountain). See what our guests have to say by reading our reviews page. 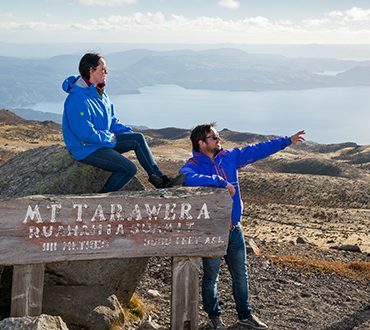 Experience the unique landscape and history of Mt Tarawera. Infamous for its eruption on June 10th, 1886, Mt Tarawera created the world’s youngest geothermal valley of Waimangu, at the same destroying the legendary Pink and White Terraces. This fully guided walking experience encompasses the unique landscape and history of the area. 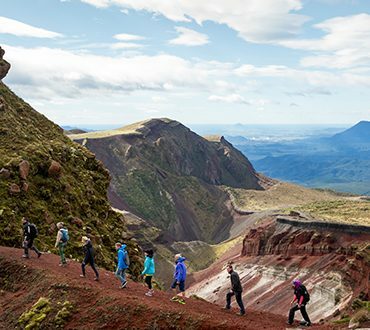 With unmatched scenic vistas and 360 panoramic views this experience is ideal for all ages and includes an optional run in to the heart of the volcanic crater. Book Now Experience this for just $164 per person! 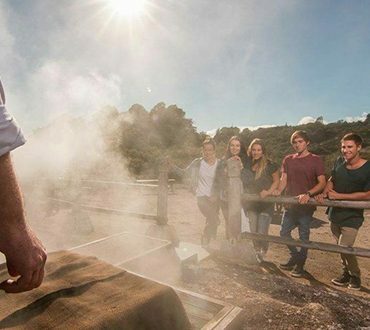 This unique experience combines the majesty of Mt Tarawera with the raw geothermal power and cultural experience that is Te Puia. Be transported from your accommodation up to Mt Tarawera, where guides will enthral you with the unique history of the sacred mountain, the stories of the people that lived upon its slopes, all as you taken in the breath taking views of the surrounding area. The part of your journey through to Te Puia will build on the unique relationship between Mt Tarawera and the people of Ngati Tuhourangi, who were deeply affected by the eruption of 1886, which destroyed their homes and forced there relocation to the thermal valley of Te Whakarewarewa. Book Now Experience this for just $244 per person! 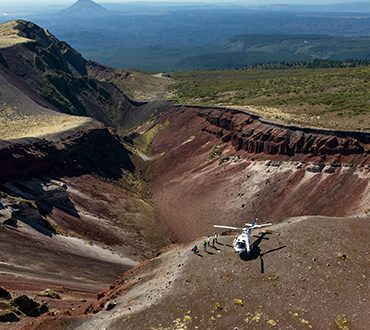 This unique experience allows visitors to travel to Mt Tarawera with Volcanic Air, taking in the scenic wonders of the area from the air, before landing on Mt Tarawera for your guided crater walk experience. This flight includes the stunning scenery of Lakes Okareka, Tarawera and Rotomahana, as well as being able to see on clear days to White Island and Mt Ruapehu. Once you have landed, you will be guided around the crater of Mt Tarawera by Kaitiaki Adventures, before being driven back to Rotorua. Book Now Experience this for just $545 per person! 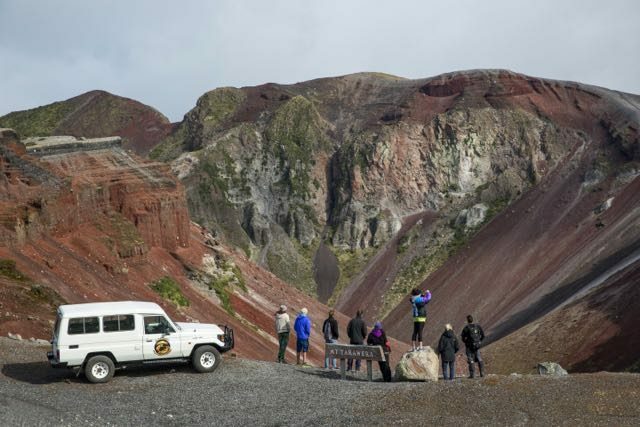 This unique experience allows visitors to travel to Mt Tarawera with Volcanic Air, taking in the scenic wonders of the area from the air, before landing on Mt Tarawera for your guided crater walk experience. This flight includes the stunning scenery of Lakes Okareka, Tarawera and Rotomahana, as well as being able to see on clear days to White Island and Mt Ruapehu. After landing, you will be guided around the crater of Mt Tarawera by Kaitiaki Adventures and then driven back to Rotorua. The part of your journey through to Te Puia will build on the unique relationship between Mt Tarawera and the people of Ngati Tuhourangi, who were deeply affected by the eruption of 1886, which destroyed their homes and forced their relocation to the thermal valley of Te Whakarewarewa. Book Now Experience this for just $620 per person! Combine the unique crater walking experience with rafting on the Kaituna with Kaitiaki Adventures. 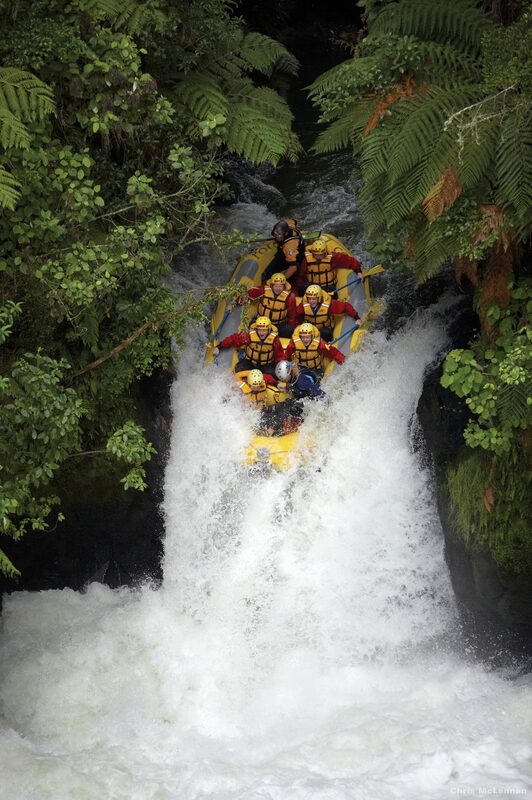 An all day combo taking you from the volcanic crater of Mt Tarawera, to the Okere section of the Kaituna River, where you will raft the world’s highest commercially rafted waterfall, take on 14 rapids with world class guides and gear. Each experience is fully guided and includes transportation to and from your accommodation. In the hongi, the breath of life is exchanged in a symbolic show of unity. Through the exchange of this greeting, one is no longer considered manuhiri, a visitor, but rather tangata whenua, one of the people of the land.